A new NASA mission, OSIRIS-REx, is set to launch in September of 2016 and will arrive at the asteroid Bennu in 2018, with the aim of collecting samples and returning them to earth for study. Asteroid mining is likely still decades away. Space missions cost hundreds of millions – even billions – of dollars, and the "lack of experience with mapping and analyzing the resources in asteroids to extract material from them," are highly prohibitive factors. But OSIRIS REx endeavours to close the experience and knowledge gap by returning significant asteroid surface samples to earth. 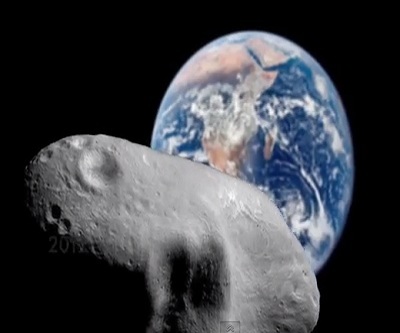 "The mission will develop important technologies for asteroid exploration that will benefit anyone interested in exploring or mining asteroids, whether it's NASA or a private company," said Dante Lauretta, principal investigator for the OSIRIS-REx mission. NASA also expects the mission to provide insight into the formation of the planets and the origins of life, and into the paths of asteroids in order to mitigate Earth impact risks in the future.